Joe Stevens (co-director of DIVAcontemporary) Portland sound work is in Kinokophonography an event for sharing sound recordings, exploring the experience of listening and discussing what these recordings and the process of making them can bring to life. Inspired by the British Library’s upcoming exhibition, Mughal India: Art, Culture and Empire, the theme for this event is beauty. Field recordists and phonographers were invited to submit pieces, either newly created or taken from their personal archives, for the event. 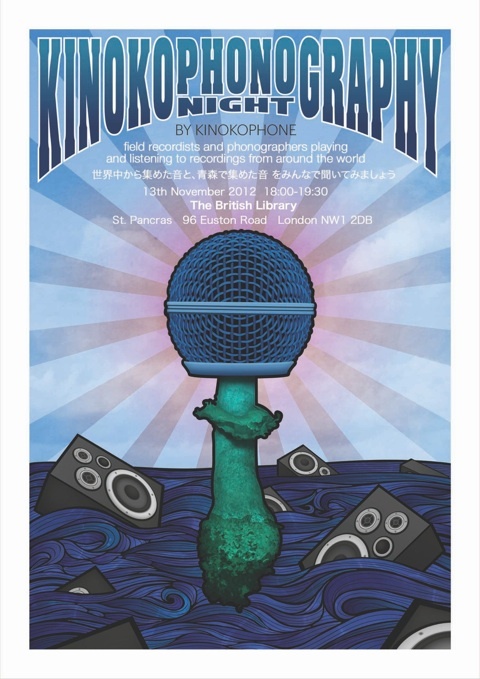 Kinokophonography Tuesday, 13th November, 18:00-19:30 at the British Library, London. Foyle Suite, British Library Centre for Conservation, British Library, 96 Euston Rd, London NW1 2DB. To attend you need to reserve a place on the British Library’s website.